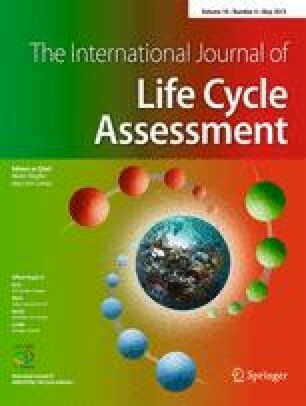 Two different bioenergy systems using willow chips as raw material has been assessed in detail applying life cycle assessment (LCA) methodology to compare its environmental profile with conventional alternatives based on fossil fuels and demonstrate the potential of this biomass as a lignocellulosic energy source. Short rotation forest willow plantations dedicated to biomass chips production for energy purposes and located in Southern Sweden were considered as the agricultural case study. The bioenergy systems under assessment were based on the production and use of willow-based ethanol in a flexi fuel vehicle blended with gasoline (85 % ethanol by volume) and the direct combustion of willow chips in an industrial furnace in order to produce heat for end users. The standard framework for LCA from the International Standards Organisation was followed in this study. The environmental profiles as well as the hot spots all through the life cycles were identified. According to the results, Swedish willow biomass production is energetically efficient, and the destination of this biomass for energy purposes (independently the sort of energy) presents environmental benefits, specifically in terms of avoided greenhouse gases emissions and fossil fuels depletion. Several processes from the agricultural activities were identified as hot spots, and special considerations should be paid on them due to their contribution to the environmental impact categories under analysis. This was the case for the production and use of the nitrogen-based fertilizer, as well as the diesel used in agricultural machineries. Special attention should be paid on diffuse emissions from the ethanol production plant as well as on the control system of the combustion emissions from the boiler. Dr. S. González-García would like to express her gratitude to the Spanish Ministry of Education for financial support (Grant reference: EX2009-0740) for a Postdoctoral Research Fellowship taken at Imperial College London (UK), during which this paper was prepared.